Juniper berry (Juniperus communis) is an evergreen bushy tree that can grow to anywhere from 2-25 feet and live to be two thousand years old. It is a member of the Cupressaceae (Coniferae) family. Juniper berry essential oil smells like green, fruity, balsamic wood and is reminiscent of gin. Juniper berry is probably best known for it being what gin is made of. This evergreen, native to the northern parts of Asia, Europe, and the United States, is considered both a shrub and a tree. The juvenile leaves are thin and needle-like, while more mature trees have more blunt-tipped, awl-shaped thicker needles. They are grayish or bluish-green and even though the tree is an evergreen, they can become yellowish-brown in the autumn and winter months. The reddish-brown bark on the trunk and branches is often hidden by the foliage. The most commercially important part of the tree are the fruits or cones, known as the berries. A CO2 extract is likewise extracted from juniper berries, and there is also an essential oil produced from the needles and twigs. However, you will want to seek out the oil from the berries to use at home. Other Juniperus trees produce oil as well. There is cade oil (J. oxycedrus), Virginian cedarwood (J. virginiana), savin oil (J. sabina), and an oil produced from the twigs and bark of J. smerka in Yugoslavia. Juniper berry essential oil blends well with bay laurel (Laurus nobilis), cardamom (Elettaria cardamomum), clary sage (Salvia sclarea), geranium (Pelargonium graveolens), grapefruit (Citrus paradisi), oregano (Origanum majorana), peppermint (Mentha piperita), and more. What is juniper berry used for? The common juniper tree has been used for a wide variety of applications throughout history. Tibetans use its branches in spiritual ceremonies, as do American First Nations cultures. While learning how to use juniper berry at home is easy, it should be avoided by those who are pregnant as well as anyone suffering from kidney disorders. Essential oils are used in aromatherapy diffusers to alter moods, set atmospheres, and more. They can help ease anxiety and depression, create a happy mood for parties, make a home smell festive for the holidays, and a whole host of other uses. Juniper berry is an excellent oil to reach for when restlessness and anxiety are an issue. Blend it with other oils that have a sedative effect on the nervous system like clary sage (Salvia sclarea), sweet orange (Citrus sinensis), and lavender (Lavandula angustifolia). The essential oil is also a broad-spectrum antimicrobial, so add it to blends meant for getting rid of any viruses or bacteria that may be in the air. Juniper berry essential oil can be used for a myriad of skin conditions ranging from aging to oily skin. One of the best ways to use juniper berry oil is to make an astringent with it. The following recipe can be used on any type of skin. Add it to your skincare regimen as you would a tonic. Add all ingredients to a glass bottle. Keep refrigerated. If you wish, you can strain through an unbleached coffee filter to remove excess oil globules. Shake well before each use. Use with a cotton ball or cotton pad and wipe all over the face to remove any excess dirt that regular washing may have missed. Add all drops to a dark glass bottle. To use, add 4-5 drops to a teaspoon of a carrier oil and rub into the affected area. For the best results, use an anti-inflammatory and analgesic carrier like tamanu (Calophyllum inophyllum) or St. John's Wort (Hypericum perforatum). 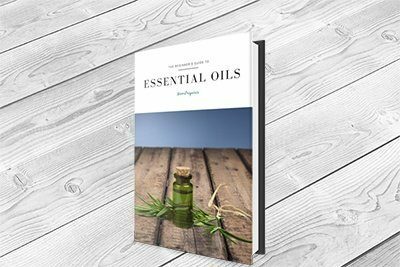 Kristen Bell's Holistic Aromatherapy for Animals is a book many aromatherapists, as well as home enthusiasts, turn to when determining what the best oil or oil blend is for their furry friend's maladies. Since the oil is a circulatory system stimulant, she recommends juniper oil for arthritis, dysplasia, and muscle pain. She further states the oil is helpful for cases of oily skin, eczema, and hair loss. There are many health benefits of juniper berry oil. Its components make it antirheumatic, antiseptic, antispasmodic, and it is an astringent as well as a diuretic. Moreover, it is a nervine, parasiticide, has sedative effects, and is a tonic. It is also sudorific, so it can help the body produce sweat, and is vulnerary, which is helpful in healing wounds. Here are a few of the ways to enjoy these therapeutic qualities in your home. Juniper berries were employed by ancient Romans to heal coughs and colds, and American Indians would burn them to remedy respiratory complaints. If you are suffering from a cough, congestion, bronchitis, or another respiratory issue, try using juniper berry in a personal diffuser. Take a whiff whenever needed throughout the day. You could also add some to a room diffuser, put a couple drops in the shower and breathe in the steam, or do a facial steam with a couple drops of the oil. That being said, a gout attack can occur in any joint or area. Anyone that has ever had a flare-up knows that the episodes are extremely painful. The area becomes red and inflamed, swollen, and hot to the touch. While gout can be caused by physical trauma or genetics, it is usually a warning that there is something underlying that is seriously wrong. Gout is often a secondary issue in diseases like diabetes and heart disease. High levels of uric acid cause crystals to form in the joints and can cause kidney stones. It is a warning that the kidneys are not functioning optimally. The single best thing that can be done to help the kidneys release the excess uric acid through the urine is to drink enough water to allow them to do so. Juniper essential oil is one that can be useful in gout attacks, as well as cypress (Cupressus sempervirens), eucalyptus peppermint (E. dives), geranium (Pelargonium graveolens), peppermint (Mentha piperita), and spearmint (Mentha spicata). A cold compress using a few drops of one of the above oils or recipes including a blend of them can ease the pain and inflammation of an acute episode. Many people carry around excess water weight, and it is this weight that a lot of crash diets get rid of quickly in the first few days. Unfortunately, this weight returns just as rapidly as it is lost. A massage with diuretic essential oils on a regular basis can help keep this weight off, as can lymphatic drainage massage and dry brushing. Juniper berry is a diuretic oil. Others that can be useful for controlling water weight are sweet fennel (Foeniculum vulgare), grapefruit (Citrus paradisi), rosemary (Rosmarinus officinalis), spearmint (Mentha spicata), and thyme linalol (Thymus vulgaris ct. linalool). The medicinal benefits of juniper berry are not just anecdotal; some studies are backing up the claims. The following are a few of the interesting ones to date. Likewise, there are some side effects that must be taken into account before using juniper oil. In a study published in a 2015 issue of Toxicology and Industrial Health, researchers tested the effects of Juniperus communis oil on rats fed high cholesterol diets. Sensitive individuals may develop a rash with external use. There could be allergic reactions, such as congestion. Excess fluid loss could occur when taken with other diuretics. Juniper can stimulate uterine contractions, so it should not be used by pregnant women. Diabetics could suffer blood sugar spikes from juniper. Juniper should only be used for short periods and in small doses. Those with kidney problems should not use juniper in any form. Juniper has been used in many ways both medicinally and as a food and drink flavoring for thousands of years. The oil can be used at home, provided that research into the side effects is performed beforehand and that the correct oil is used. It is always wise to seek out organic oils whenever possible. You will want to look for the common name, Latin binomial, and the source of the oil. In this case, you want oil from the berries, not the juniper leaf or needles and twigs or bark.